Batman had Robin. Sherlock had Watson. The Lone Ranger had Tonto. Sometimes, greatness keeps company. It's that way in hockey, too, and with the Tampa Bay Lightning, who can now throw Brayden Point and Nikita Kucherov onto the same patch of ice. It paid off again Monday night, as the Lightning walloped New Jersey, 5-1. Say this for the Devils; they're probably glad to see the Bolts get the hell out of town. In three wins this year, Tampa Bay has scored 18 goals on New Jersey. This time, it was Kucherov and Point who led the way. Each player had a goal, and Kucherov had four points on the night. Point had three. Together, the two are well on their way to replacing Steven Stamkos and Kucherov as the leaders of the Lightning attack. 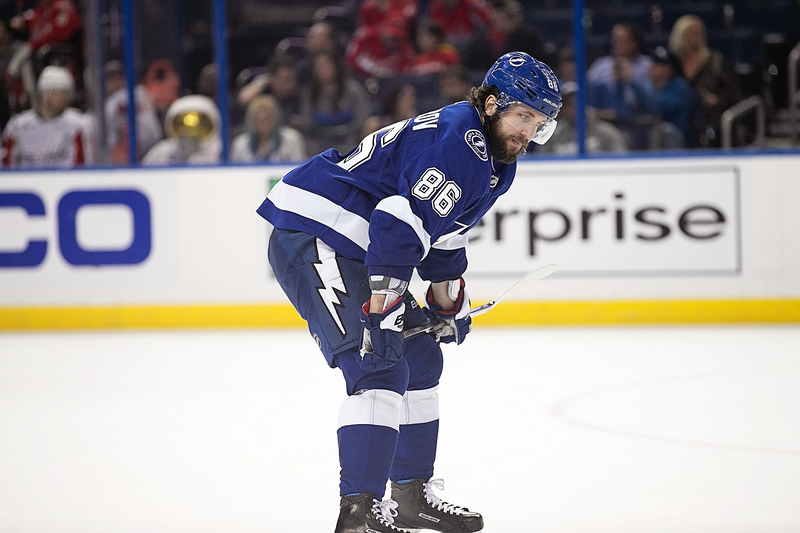 Kucherov is now third in the league with 42 points; Point is fifth with 37. Point is second and Kucherov 23rd in goal scoring. 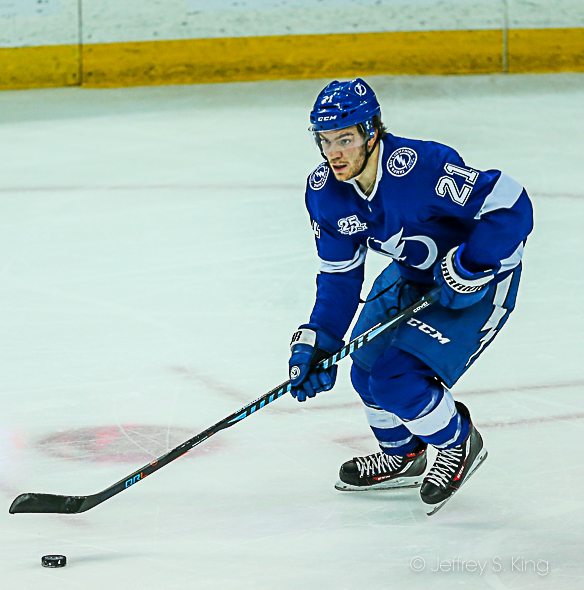 Tyler Johnson, Yanni Gourde and Stamkos also scored for the Bolts. Stamkos talked about the team's depth. Goaltender Louis Domingue started his 11th straight game for Tampa Bay. He's 8-3 over that stretch. On Monday night, he stoped 25 of 26 shots. “He was excellent, played the puck well, was seeing it," Cooper said. "I thought defensively we didn’t give them much, but when we did, he was there for it. The goal against, a little unfortunate, a missed assignment. He had no chance on that one anyway, it was a great shot. He was in command of the game. You go back to probably the last five periods he’s played, he’s been really good. It’s good to see." The Bolts play in Detroit tonight against the Red Wings. The puck is scheduled to drop at 7:30 p.m.